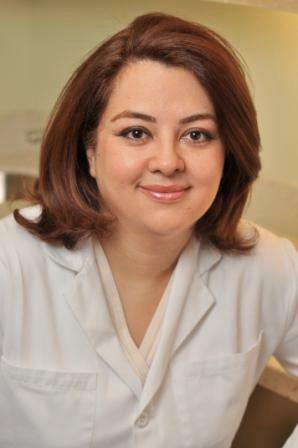 Dr. Freda Seifoddini pursued her dental education at the New York University College of Dentistry, where she obtained her Doctorate of Dental Surgery (DDS) in 1998. She also received the Bernard E. Rudner Memorial Award in Comprehensive Care, Applied Practice Administration and Behavioral Sciences from New York University. After graduating, Dr. Seifoddini proceeded to complete her residency training program in 1999 at the New York Hospital Medical Center, affiliated with New York Presbyterian Hospital – Weill Medical College of Cornell University. Since 1999, Dr. Seifoddini has been in private practice at some of the most prestigious offices in Manhattan . She has continually participated in Advanced Education Programs, keeping up-to-date with the latest advances in dentistry. In 2009 and 2010, Dr. Freda Seifoddini was selected as America’s Top Dentist by Consumer’s Research Group, which is an independent group in Washington D.C., for two consecutive years. Today, Dr. Freda Seifoddini provides comprehensive dentistry to patients of all ages. She emphasizes on conservative and minimally invasive techniques using state-of-the-art equipment and latest technologies. She has special interest and advanced training in Cosmetic and Restorative dentistry, Full Mouth Rehabilitation and Implant dentistry. She is known by her patients for her outstanding clinical manners, gentle approach and superior quality of work, along with her extreme professionalism.